Tonight I drove my daughter to her first tumbling class in our new city. Every outing these days is an adventure and I was glad to be taking her to her class, excited to see a new part of this community, but I was way more glad to have a few moments alone with her on the ride there. She didn’t cry. She didn’t seem sad. She was just very contemplative and observant. We talked about how the kids here seemed the same and how they seemed different. We talked about how God uses changes in our lives to do a lot of things. Changes move things around in a way that make us aware…perhaps aware of things that have always been there, but now they seem more evident. Change gives us new perspective. All of that can be good, very good. All of that is usually hard…very hard…too. We also talked about empathy. I am doing this thing called a Ph.D. I have been told that the “”D” stands for “dumb”…as in D.Min…”minisculey dumb”, Ph.D…”phenomenally dumb”…and being more than half way through this thing I have days when I think this is a completely accurate description. Anyway, my research focus is on empathy. Empathy, in short, is being able to put yourself in the “shoes” of someone else’s experience. It is a critical skill for human relationships. There are two REALLY important components to empathy (see Davis, 1983, and his “Interpersonal Reactivity Index” as well as a host of other sources in this body of literature). There is “cognitive” empathy and there is “affective” empathy. Basically, “affective” empathy is the feeling part and “cognitive” empathy is the thinking part. To have the full empathic experience you need to FEEL and SENSE (affective) what the other person might be feeling and you need to IMAGINE (cognitive…thinking) what the person might be going through. And, if you are able to FEEL and IMAGINE what a person is going through…you are more likely to connect with them. You are more likely to relate to them at some level. Empathy…FEELING and IMAGINING the experience of another…fosters prosocial behavior and deters antisocial behavior such as bullying and other forms of violence. It helps us reach out and care for others. It even helps us not to be reactive or take things as personally when others are angry or hurt because we know that what is going on has more to do with them and their own circumstances and pain than with us. It helps us FEEL and IMAGINE where someone else is beyond where we ourselves are. It helps us get out of our “box”. There is a whole lot of research on what promotes the development of empathy, but one seemingly significant predictor of its development is having experiences that get you outside of your “box”. Being exposed to other people’s situations and cultures helps you feel and imagine what other people might be going through. You don’t have to spend a week in the jungle or spend the night in a homeless shelter to FEEL and IMAGINE the experiences of a person who lives in those circumstances, although those kinds of experiences certainly help. Reading books (and watching movies) about the experiences of others seems to help us develop this empathy muscle of FEELING and IMAGINING. Having people, like parents, ask us good questions about FEELING and IMAGINING what others might be feeling and thinking helps, too. Still, nothing replaces some of the experiences of just being “the other person”. I knew my daughter was getting that experience. I listened to her talk about her empathy muscle growing, although she didn’t realize that was happening. I listened and I hurt for her, that she had to face this challenge, that she had to do this “emotional weight lifting” so she could get stronger as a person. I listened…and I was proud. Sometimes in the church and in other places, people will say that they don’t want someone to listen or help them if the person hasn’t “been where I’ve been”. Conversely, I have heard beginning counselors and therapists, as well as people ministering to others, say that they aren’t sure if they should be working with or helping someone who is from such a different background or who has such a different experience as them. I am sure my daughter will be more sensitive to those people who have moved to a new location now that she has had this experience. But, I am pretty sure this experience just makes her more sensitive in general. I use the word “sensitive” in the strongest, most gifted meaning of that word. Being sensitive is a GIFT. It is a MUSCLE grown. It is a skill that takes STRENGTH to cultivate, grow, harvest, and share with others. We don’t have to have been in a person’s actual shoes to FEEL and IMAGINE where they are…and to help, to relate, to serve. Experiencing different things in life helps grow our empathy muscle…and that helps us connect with, relate to, and care for others no matter where they are from and what they have been through. Every gift has its dark side, too. During the last couple of weeks before our move I wished I could find the “off” button for my sensitivity. I wished I could just NOT FEEL for a few days until the transition was over. 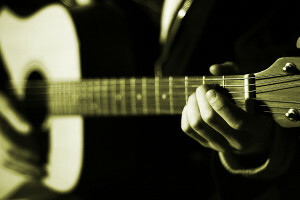 I was told one time that working with or ministering to others it is like playing the guitar. You need enough callouses to keep playing…but not so much that you can’t feel the strings. It wouldn’t do anyone any good if we had to stop playing because our fingers were a hurting, bloody mess. It wouldn’t do anyone any good if we were so calloused we couldn’t feel the strings to play at all. Safety has been a big…if not MAIN…concern for me. I am still going to pray that prayer. I DO want God to guard my children…their hearts, their minds, their souls, and their bodies. I have also decided to take a leap of faith. I have decided that I want to pray for more. I don’t want just a safe life for my children. Instead…or in addition…I am praying for a rich life…a life rich in experiences…both through actual experiences and those found in books and through good questions. I want my children to be able to feel the strings…and keep playing. Thank you Emily, for this post. When our children were 11 (daughter) and 9 (son) we were transferred suddenly to the Philippines, and after a year there, on to northern Thailand. After two years in Thailand, we were back in the USA. It was an adventure for all of us, yet for our daughter, it included deep grief, as she left friends in the US, moved and made friends in the Philippines, then was abruptly moved again to Thailand, then–again–another international move back to the USA. As her mother, I grieved with her as she lived through the “loss” of friends in three places…and endured the transitions that moving requires. Now she is 27, living in DC, but traveling to NYC to work every week, and is happy and well-adjusted and adventurous. Those experiences of grief have in the end, served her well. but it was absolute heartbreak and agony at the time, mixed with gratefulness of God’s leading and the blessing of serving him. Thank you for coming to Charlotte. We are praying for you and your precious family! Martha, thank you for sharing about your daughter! Wow! What an adventurous journey that God has used to “grow” your children with you guiding the way. Happy, well-adjusted, and adventurous…that makes me smile so big and I am sure it makes you so proud! We are so very happy to be in Charlotte. I like to think that I am “happy, well adjusted, and adventurous”, too, so while transitions are always challenging and emotional I am feeling unbelievably blessed to have been taken on this journey. My children have amazed and inspired me as have the beautiful people at Renovatus.